Mains-independant M-Bus master with USB-Interface for mobile installations and readout of small M-Bus systems with a Laptop. A special version for PSION handheld computers is available on request. The M-Bus Mikro-Master is a complete M-Bus level converter, specially designed for mobile use. The device is supplied from the USB interface, which makes an external power supply unnecessary. This and its small housing recommend the Mikro-Master USB especially for service purposes such as meter parameterization, commissioning of installations or troubleshooting. 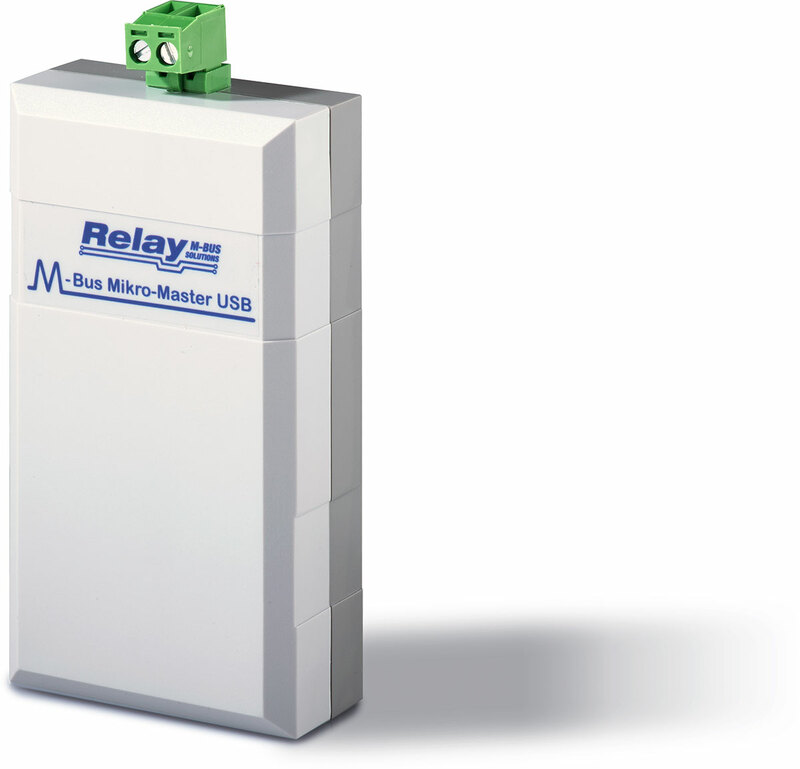 For small networks of up to 10 meters, the MikroMaster USB is also suitable for permanent use in the installation. In combination with a laptop it is the ideal tool for every service technician and should not be missing in any toolbox.